It’s foundation time again! I have been trying so many different foundations lately and it had been a while since I tried anything by MAC. I used to own the infamous Face & Body foundation and I wanted to repurchase that. But that foundation doesn’t have a great shade match for me and that is why the MUA recommended I try the Waterweight foundation. Texture wise this should be similar to F&B, yet this does come in the classic NC & NW shade range that MAC is known for. 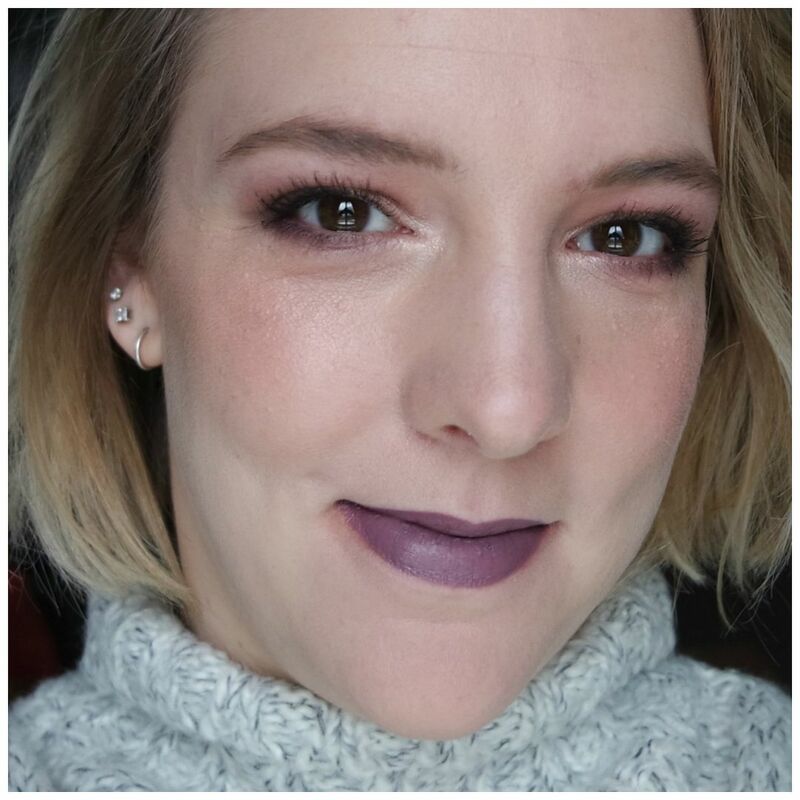 How am I getting on with this foundation? MAC is of course a brand that can be a bit up there in price. This foundation retails for €36 which makes this a mid range price point. Brands in a similar price bracket sells their foundations for a similar price. It is definitely not the most expensive foundation I have ever tried, but it is certainly not the cheapest too. One of the reasons why I wanted to try this foundation was the packaging. This comes in a glass bottle with a dropper. One of my favorite foundations, Tarte’s Rainforest of the Sea, has a very similar type of packaging. The name of the foundation also already suggests what this may be like: this is a very watery texture and that is usually my favorite texture foundation as well. But in order to use a foundation with that texture, the packaging is key. And that packaging revolves around the dropper. 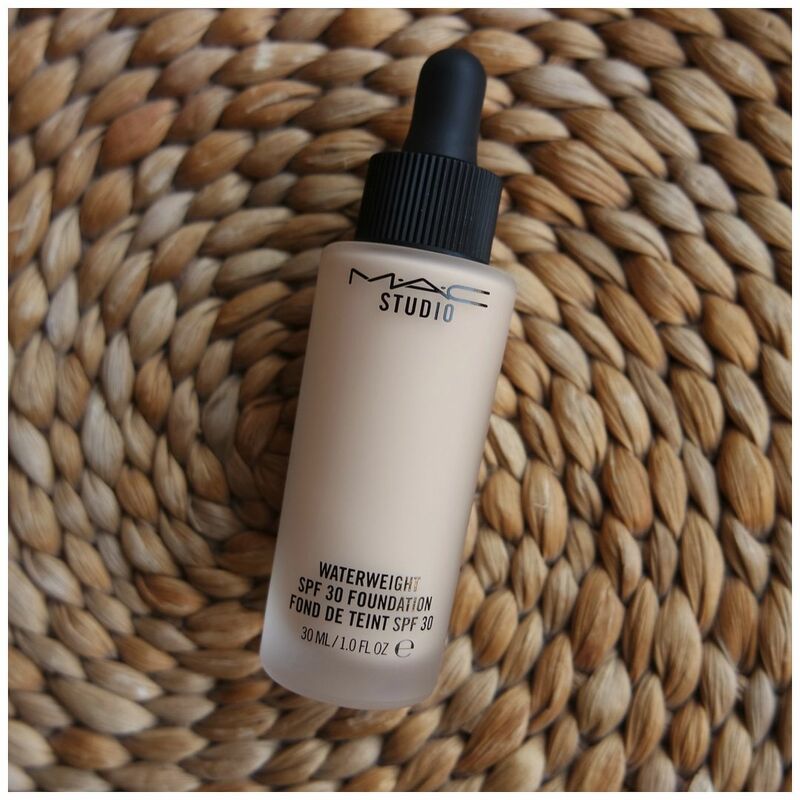 This foundation comes with a glass dropper and makes it very easy to use. The dropper makes it possible to dispense just the right amount of product and it also means you do not waste a single drop. Because you always get the exact amount, you are never left with anything extra like you might with some pump style foundations. It is still hygienic, but it does make it more difficult to use for travel. The glass dropper can be fragile and you don’t want this to break. I really like these super liquidy, water like foundations. They are usually not the highest coverage foundations, but if you like a medium coverage than these are always worth it. 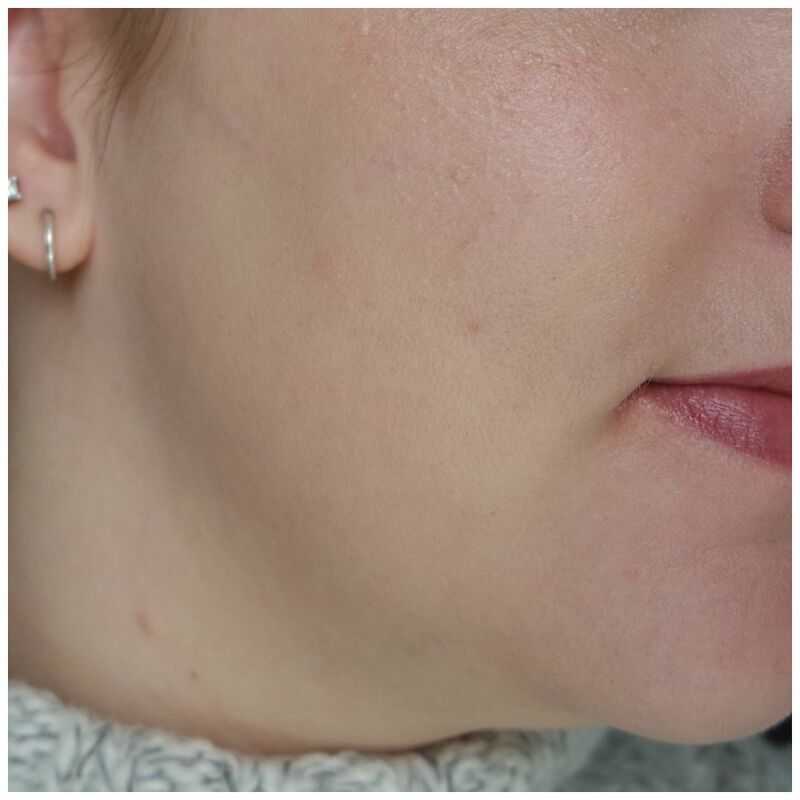 The finish of this foundation is quite dewy and it looks very natural on the skin. It blends out easily and I prefer using this with a sponge as it makes for a seamless blend and the quickest application. This will still show the natural texture and look of your skin, but it will certainly even out your skin tone and make for a good base to apply other makeup products. My main reason for purchasing this foundation was the shade match. 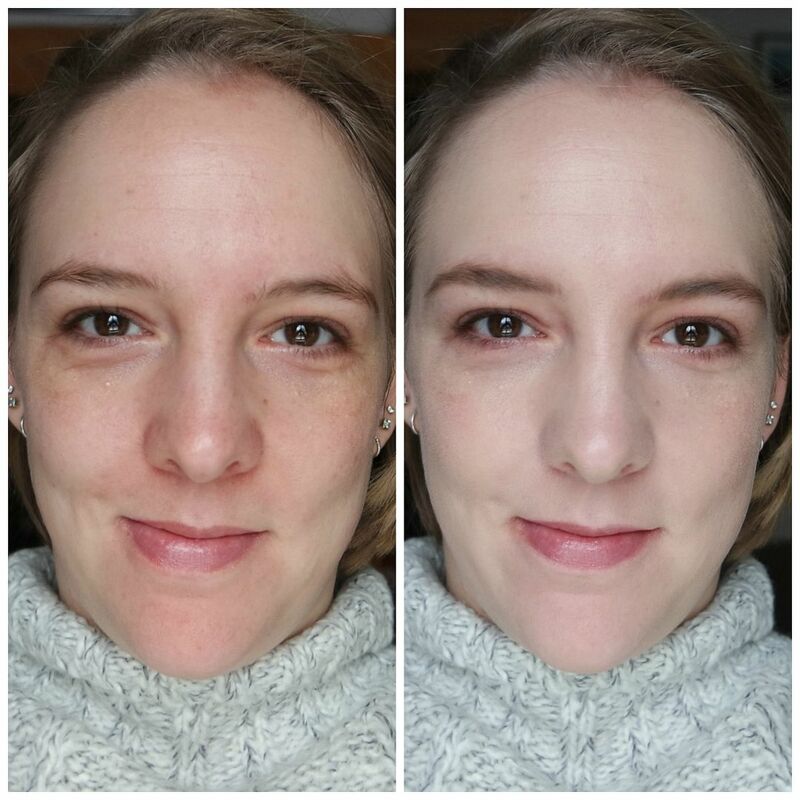 In the Face & Body Foundation I was C1 but that was a touch too yellow and still too dark. I bought the Waterweight foundation in NC15 and it is a spot on shade match. It may be a touch too yellow, but this shade is lighter than NW15. This shade matches my neck perfectly, but that does mean that with just foundation I tend to look a bit pale. However, that is easily prevented by applying some bronzer and blush for some more color. So what does the full effect look like? On the left is my face without anything on. On the right is my face with just the foundation. As you can see my natural skin is quite alright but I look a bit blotchy and have some areas of redness to deal with. 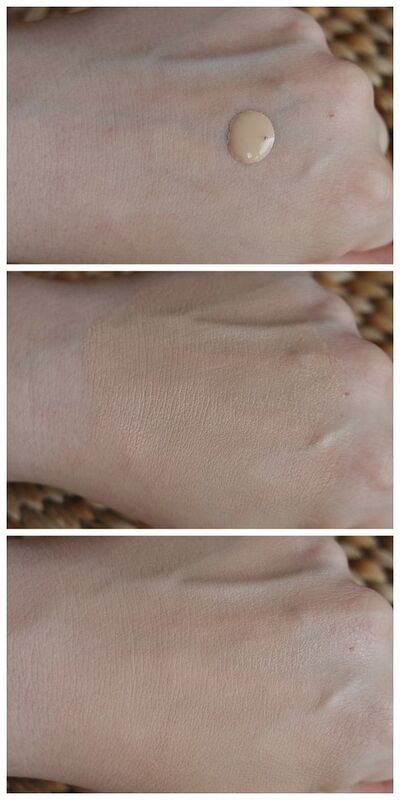 The foundation covers this nicely, makes my skin look more even and still looks like skin. This is by no means cakey and it lasts a good while. I experience creasing when I get a bit sweaty, but overall this stays put all day and doesn’t need any touching up throughout the workday. Yes, I am very happy with this MAC Waterweight foundation. It has everything I look for in a foundation: it is lightweight, natural, dewy and stays put well. Additionally, MAC is known for having a good shade range, so you will always be able to find a match. It may not be the cheapest out there and I am pretty much set when it comes to foundations for a while. So I won’t be repurchasing any time soon. 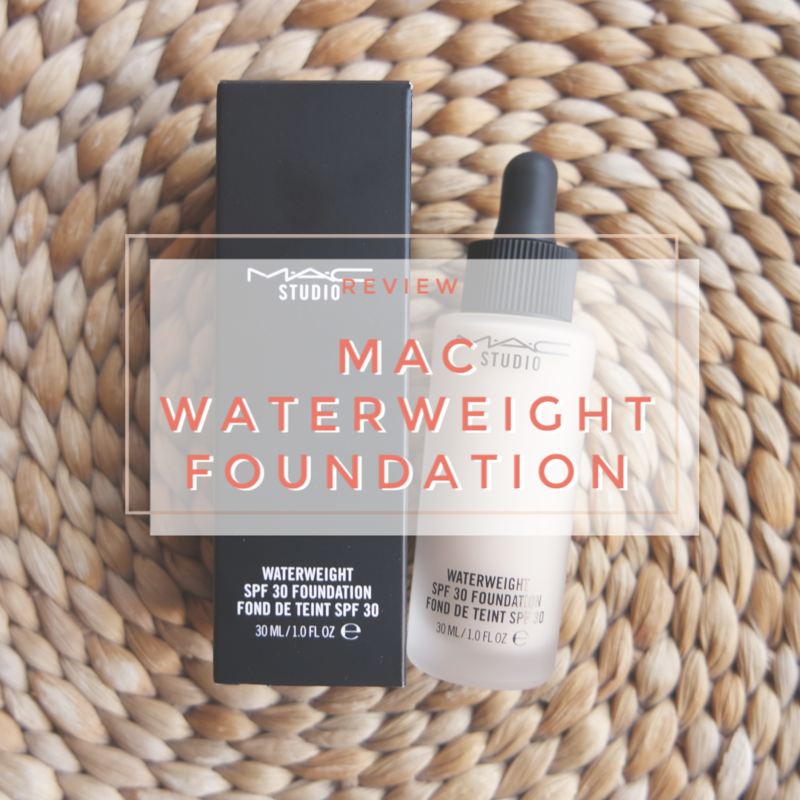 But if you are looking for a new foundation to try that ticks all the boxes for a good everyday foundation, then looking into this MAC Waterweight foundation is well worth it. 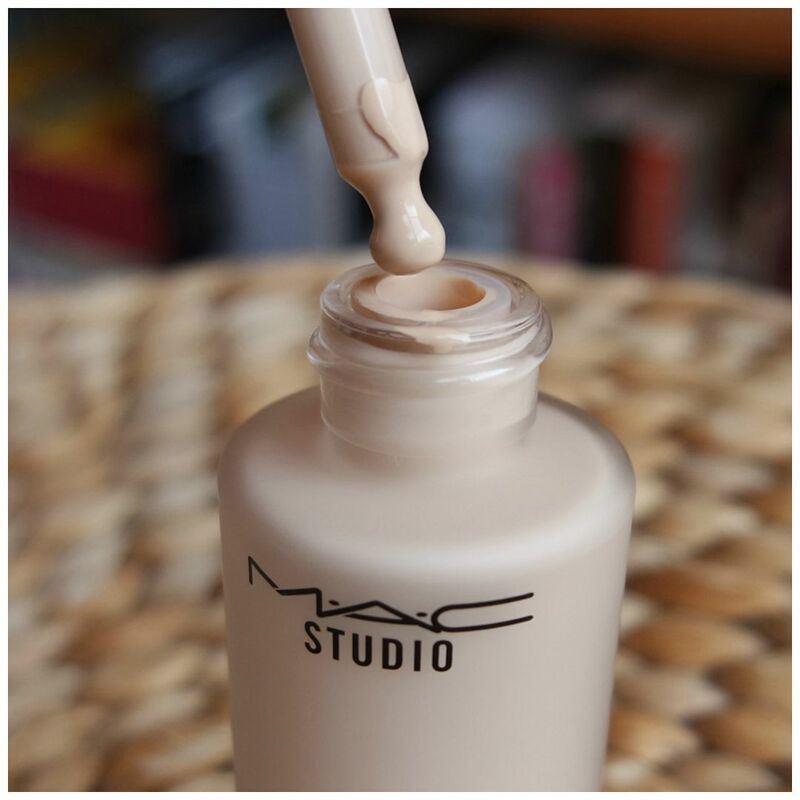 Have you tried a MAC foundation before? It is one that definitely flew under the radar. Only because I was looking for something similar to Face & Body in a better shade was this recommended to me.